It’s official: The Witcher 3: Blood & Wine will release on May 31 for all platforms. 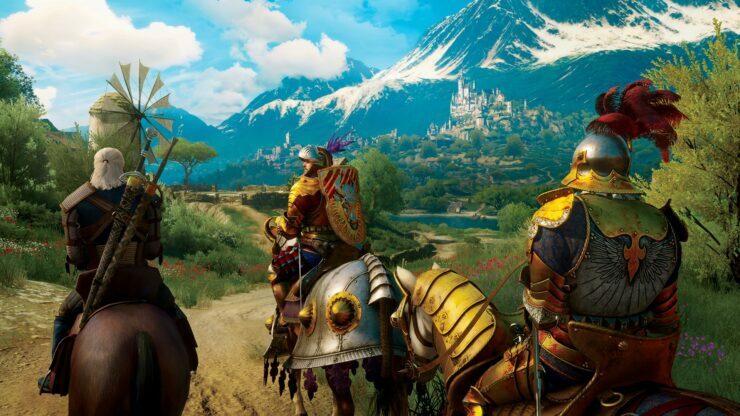 While the expansion had been previously described as a 20-hour adventure for Geralt, CD Projekt RED apparently managed to squeeze even more content into Blood & Wine as the Polish developer now estimates an average of 30 gameplay hours to complete all the new content. Quest Designer Patrick Mills explained the structure of content in The Witcher 3: Blood & Wine while speaking to VG247. The big difference with the Hearts of Stone expansion is that this time around, there will be many side quests as well as the main story. There’s lots and lots of quests. That’s something that — on Hearts of Stone it was mostly the core story of the expansion. With this one we’ve got that core story, and it’s actually a little bit longer than the Hearts of Stone core story, but then we also have tremendous amounts of side content. That’s actually the sort of side I enjoy a little bit more, because we can tell our own stories and tell smaller, self-contained stories, and there are lots of them. If you just walk around that city… the other day I just loaded it up myself to test something. Normally we just test on our little sections, but I loaded up the whole thing that time, and I’m walking through it and there’s just… a quest, and a quest, and a quest, and a quest. I see an event happening, and I know that leads to a quest, and this thing over here ties into a quest… there’s lots going on here. It’s very nice with this expansion – by having a whole new world, we really got to design that structure from the beginning all over again. That’s music to the ears of anyone who played The Witcher 3, since many amazing quests were found in the game’s side content. Stay tuned on Wccftech for more on Blood & Wine.